This race has been postponed due to the death of Singapore’s beloved LKY last March. That week became a national week of mourning for Singapore, hence the postponement. 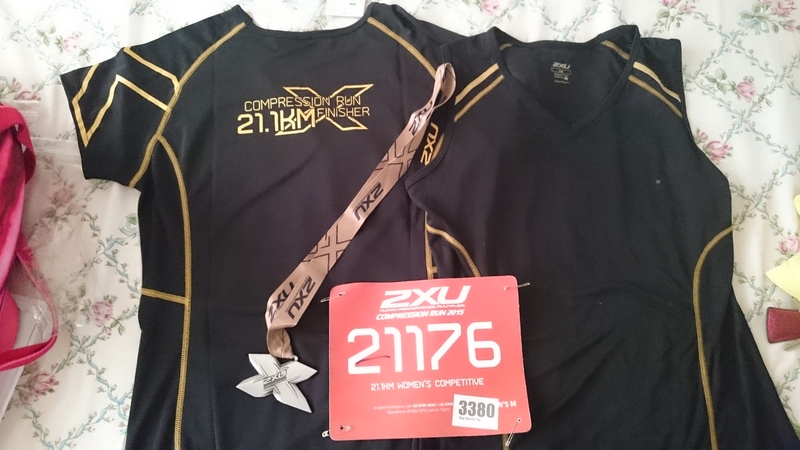 The organizers gave us an option of just collecting the finisher shirt and medal ahead even without running the race or join the race on a new date. Yes, I’ve much pride in my bloodstream. 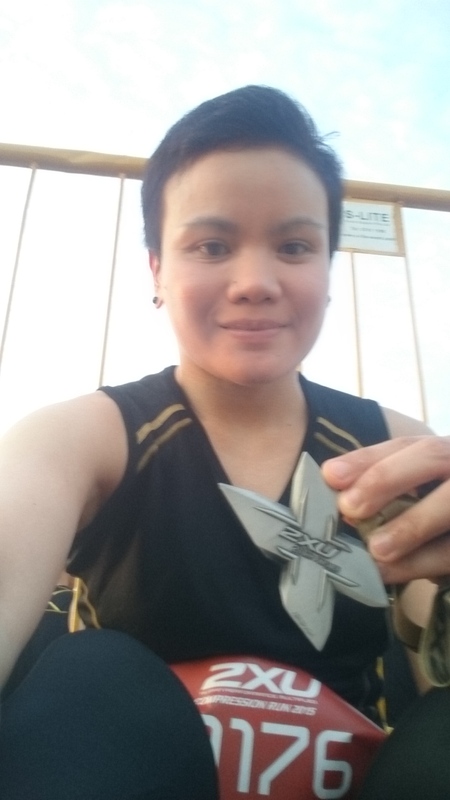 Of course, I wouldn’t be able to proudly wear the finisher shirt without running the race, and so, I opted to still join despite my grueling August schedule. I initially thought that most probably, there would be less people running this race because of option number one, but surprisingly, it was still enourmously attended. I could say it was crowded and I wasn’t at all expecting that. I planned to join the 2hrs pacers but unfortunately, I came a little late that I wasn’t able to go for Wave 1, where the pacers were (and so I assumed coz I didn’t even see the first wave). I was pushed to wave 3 or 4. Air was dry as we passed by East Coast Park. My eyes were dry and fighting it’s way to dreamland. Yes, I can sleep run. It’s not safe that’s why despite my ability to do so, I wouldn’t do it when I am on my own, with friends, yes,I will. The route was well-marked with water and Pocari points every kilometer. Proud to say that despite just having 2hrs of sleep the night before, I was able to strongly run until the finishing point. I only walked to get through water points and resumed back to running after one gulp. 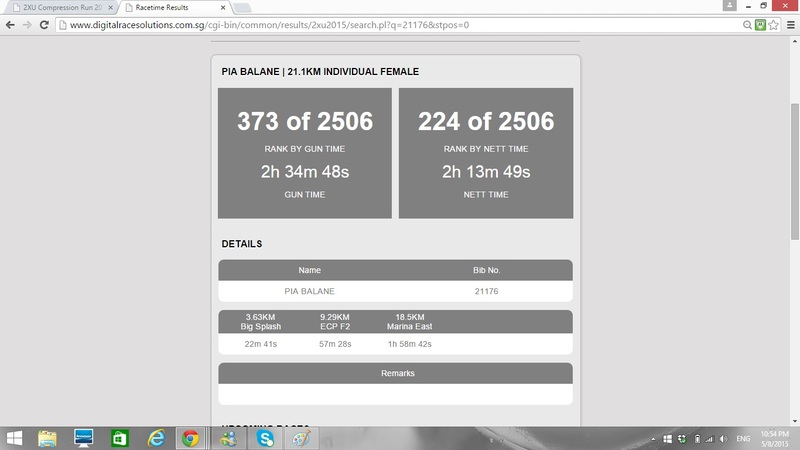 I was able to have a new PB for 21km also.I completed it in not less than 2hrs but very close to that. My last 21km was 2hrs30mins (if I remember it correctly). 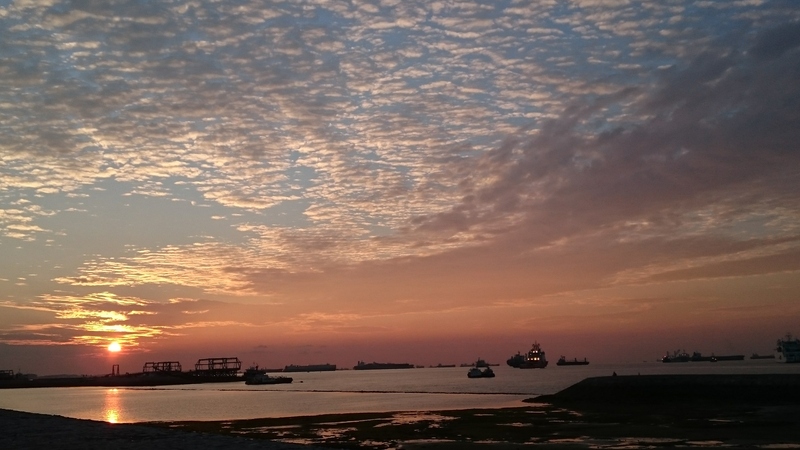 After the run, I was even happier to see my reward…a stunning view of the sun rising from the bay…I loved it! This entry was posted in Uncategorized and tagged alone but not lonely, happy, runs. Bookmark the permalink.